(THE STAR/ASIA NEWS NETWORK) - With the ongoing annual harvest festivals Pesta Kaamatan (May 30 and 31) and Hari Gawai (May 31 and June 1), it is a good time to experience the many splendours that Sabah and Sarawak have to offer. Three travel specialists – Adventoro, Lokalocal and Tourism Malaysia – prepare customised itineraries that seek to highlight the various aspects that make both states truly unique holiday destinations. As far as celebrations go, Kaamatan and Gawai do not disappoint with bountiful food, drinks and cultural performances. Home-grown travel platform Adventoro prepares itineraries – specially curated for the festive period – with unique cultural flair and immersive experiences at villages to soak in the celebrations with locals. Day 1: Visit the Sarawak Cultural Village tucked away on the foothills of the legendary Mount Santubong in Kuching. Check out open houses at Iban House, Bidayuh House and Ulu House. There are also samplings of native food and drinks at respective longhouses. Head back to Kuching city and complete the day by having local Iban dishes at either Lepau or The Dyak. Day 2: Start your day with a four-hour journey from Kuching towards Lemanak River. Stop at the small town of Serian for a delicious lunch at Lachau. Upon arrival at the jetty, board a native boat for the upriver journey towards the Iban Longhouse. After dinner, mingle with the natives and enjoy an evening of music and dancing. Of course, there will also be rounds of tuak (homemade rice wine). Day 3: For the bold ones, an exploration of the longhouse should include a peek at the human skulls kept at the “head-house” – or more commonly known as “baruk”. After breakfast, take part in the exciting activity of blowpipe and cockfight demonstrations by locals. Then proceed for a nature walk where you can visit native farms as well as a traditional Iban burial ground before travelling back to Kuching city. Day 1: Your first day in Kota Kinabalu is pretty much free and easy. The Sabah Museum is a good introduction to the various ethnicities that call Sabah home. Next, head to the Filipino Market for some shopping. Signal Hill Observatory Platform offers an elevated view of the city’s layout. It is also a good place to catch the sunset. Day 2: Spend the day island-hopping. Boat departures for nearby islands take place at the Jesselton Point jetty. The five islands are Manukan, Sapi, Gaya, Mamutik and Sulug. Manukan is only 15 minutes away by boat from the jetty. The island is home to long white sandy beaches and beautiful coral reefs. As for Sapi island, it boasts the longest island-to-island zipline in the world. The water is clear here too, which makes for great picture-taking. After an afternoon exploring the island, make your way back to KK. Day 3: Depart for the Mari-Mari Cultural Village in the early morning. The village offers travellers visits to different ethnic homes of Sabah and demonstration huts that feature daily traditional activities. Later, proceed to the Kadazan Dusun Cultural Association (KDCA) to join in the Kaamatan celebrations. Events leading up to Kaamatan start as early as May 1 all over Sabah, while at the KDCA itself, the fun begins about two weeks before the big day. Some of these events include the Unduk Ngadau which is a nationwide beauty pageant. 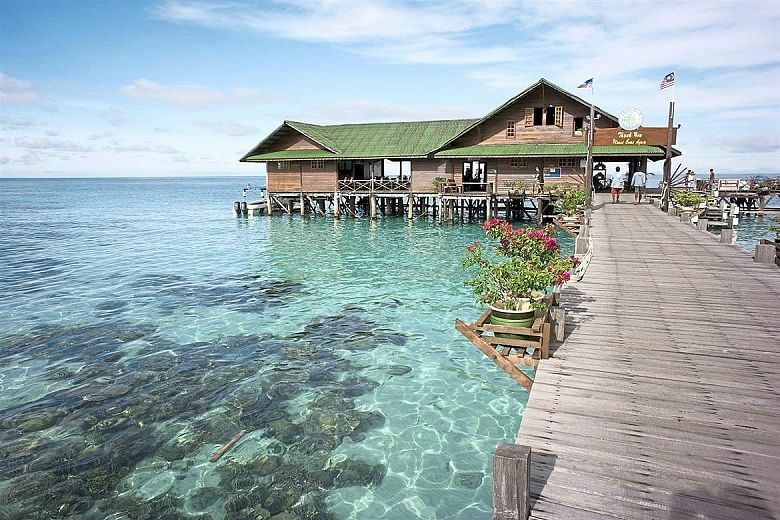 Plenty of culinary adventures await in Sabah and Sarawak. Lokalocal, an online platform that engages extensively with locals for its tours, lists some delectable cuisines and places of interests in these foodie trails. Day 1: Visit Carpenter Street, one of Kuching’s oldest streets, for breakfast. The Lau Ya Keng Food Court offers local delicacies such as Sarawak laksa, kolo mee and kuey chap. Wash all that down with house-roasted Sarawak coffee at Black Bean Coffee & Tea Co. In the afternoon, take a river taxi or sampan to the other side of the Kuching River and buy the famous Sarawak kek lapis or layer cake. Attractions here include the Astana, Fort Margherita and Brooke Gallery. For dinner, enjoy a seafood feast at Kuching Waterfront. Favourites include king prawns, bamboo clams, steamed fish and oyster omelette. 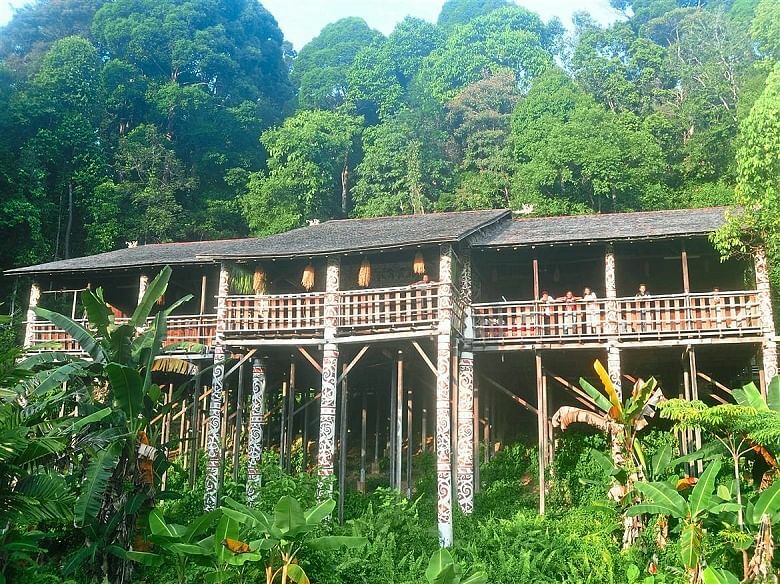 Day 2: During the day, visit the Sarawak Cultural Village and Semenggoh Nature Reserve. The latter is a wildlife sanctuary that rehabilitates orang utans. Feeding session between 3 and 3.30pm will give visitors a chance to get up close with the orang utans. In the evening, do some food-hunting at a night market. The MJC Night Market in Bandar Baru Batu Kawa opens on Thursdays and Fridays. If you are in town on a Friday or Saturday, visit the Siniawan Night Market in a 100-year-old town. Look out for lui cha and pitcher plant rice. Day 3: Sign up for a local cooking class run by Bidayuh locals. The class will include a visit to a local market where you can learn about produce that grow in Sarawak forests. 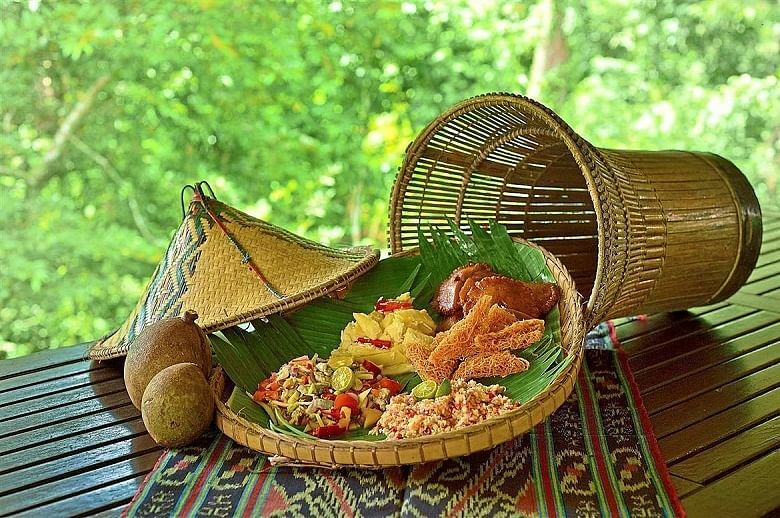 Get back to the kitchen and learn to prepare dishes such as midin sambal belacan (crispy jungle ferns stir-fried with homemade belacan) and kuih tako (dessert made from pandan juice, coconut milk and water chestnut in pandan baskets). Day 1: Fuel up for the day with all kinds of local food along Jalan Gaya in Kota Kinabalu. Keng Wan Hing Restaurant is famous for its pineapple buns and steamed bao. Other dishes to look out for are bak kut teh (Yu Kee Bak Kut Teh) and satay (Kedai Kopi Yuit Cheong). For lunch, feast on seafood and kueh at the market area of KK. The venue is divided into different sections: Central Market, Fish Market, Handicraft Market and Filipino Market. In the evening, catch the sunset (usually by 6.30pm or earlier) at Tanjung Aru beach. There are food stalls that operate till late there. Day 2: Make a day trip to Kudat (about three hours from the city) and take a detour to Tuaran town. See the magnificent Mount Kinabalu from the San Ling Pagoda there. On Sundays, check out the Tuaran Sunday Market. 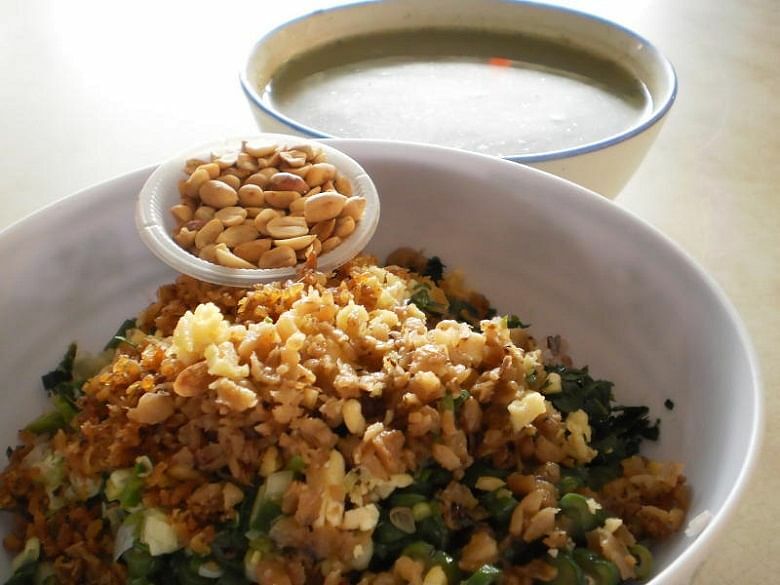 Do not miss the must-eat dish called Tuaran mian or Tuaran noodles, although you can order it anywhere in the state. Later, make a stop at Kota Belud. On Sundays, the Tamu Kota Belud sells local snacks, ethnic handicraft and other knick-knacks. At Kudat, visit the Rungus Longhouse at Kampung Bavanggazo, where you can experience Rungus food, rituals and culture within traditional wooden longhouses. Do head out all the way to Simpang Mengayau, which is also known as the Tip of Borneo, to take some gorgeous pictures. Before heading back to KK, visit the nearby Kampung Gombizau to learn about bee-keeping. Have dinner at Suang Tain Seafood Restaurant, the oldest seafood restaurant in KK. Day 3: Take a 15-minute boat ride from Jesselton Point to Manukan Island and enjoy a picnic on the white sandy beach. You can hop on a boat to Sapi Island or the other nearby islands for some snorkelling and a barbecue lunch. Remember to inform the boat company at the ticketing counter how many islands you would like to visit in a day and the time to pick you up from each island before getting on the boat. The markets and museums are fascinating places, but Tourism Malaysia recommends that travellers go off the beaten path for a fresh perspective of the two states. Whether it is fishing in the rivers of Sarawak or a scenic camping trip in Sabah, these experiences certainly lend new lenses to both destinations. Day 1: Depart from Kuching to the Batang Ai jetty. The five-hour journey will take you past Serian town. Get some food and rations for your fishing trip at the local farmer’s market here. Stop for lunch at Lachau town. Upon arrival at the jetty, board a traditional motorised Iban longboat to upper Batang Ai river tributaries. The boat ride will take close to two hours. You will spend the night at a guesthouse, where you can experience the laidback Iban lifestyle. Day 2: After breakfast, pack your camping and fishing gear. Then depart upriver in search of potential fishing spots. Fish for the whole day and then set up camp at a suitable area. For lunch and dinner, enjoy native-style meals by the riverbank. Day 3: After breakfast, opt for jungle trekking or go for a swim in the river. After lunch, return to the guesthouse. You have the option of either spending another night here or heading back to Kuching. Day 1: From KK, make your way to Polumpung Melangkap View Camp Site in Kota Belud. The venue is located next to the Panataran River. Immerse yourself in a camping experience with a kampung atmosphere. You will also get a nice view of Mount Kinabalu from the camp site. Some activities to look out for include a river expedition and campfire. Day 2: Take a boat to Mari Mari Sepanggar Island. This island is twice the size of Manukan Island, but with fewer crowds. 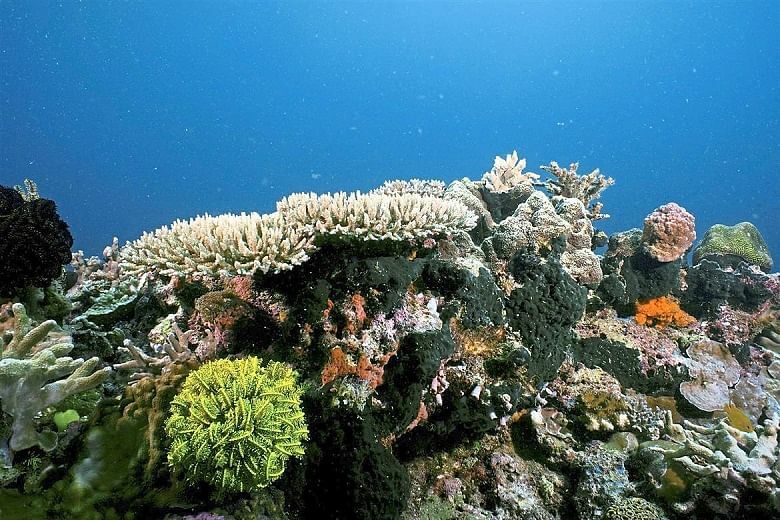 Swim in the turquoise ocean and snorkel to discover colourful reefs. In the late afternoon, transfer back to Jesselton Point. Then depart to Sutera Marina jetty to board the North Borneo Cruise. The cruise takes passengers on a two-hour scenic ride past the islands of Tunku Abdul Rahman Marine park and down the central coast gliding along the city’s popular Waterfront. Day 3: Spend the day exploring historical sights in KK such as the Atkinson Clock Tower, Padang Merdeka, Malaysia Monument and North Borneo War Memorial. The Atkinson Clock Tower is an all-wood, nail-free structure built in memory of the first district officer of Jesselton, the former name of Kota Kinabalu. Padang Merdeka and Malaysia Monument are all landmarks and reminders of Sabah’s colonial past.